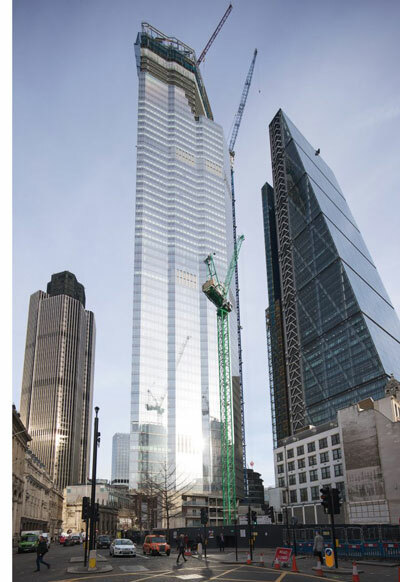 Multiplex and Severfield have announced that they have successfully placed the last steel beam at Twentytwo at 22 Bishopsgate – the City of London’s tallest building. It is the culmination of over two years work on the 62-storey, 278m-tall project’s superstructure, which began when the first piece of steel was placed in January 2017. The completed building will contain 17,023t of steelwork, made up of 14,593 individual pieces of steel, more than 300,000 bolts and approximately 170,000m² of metal decking. Multiplex Project Director Andrew Feighery praised the teamwork of everyone involved and commented that the installation has gone “remarkably well, considering the unique challenges of a such a tall building” also pointing out that the amount of steel in Twentytwo at 22 Bishopsgate is twice what went into the Eiffel Tower. Severfield Project Manager Kyle Fletcher said: “It’s not all that often you are presented with the opportunity to work on a project of this scale, and it was a great, landmark moment to erect the last piece of steelwork. A project of this scale in the centre of London possesses a variety of inherent and unique challenges, which, due to the skillset and experience of all involved, did not affect our ability to deliver to programme with an outstanding safety record. When complete, Twentytwo at 22 Bishopsgate will provide over 92,000m² of flexible, modern workspace including a gym, indoor market, cycle storage hub, art gallery and social spaces, while the fifty-seventh floor will be home to the highest public viewing platform in Western Europe.